Please choose the hours you will be available. 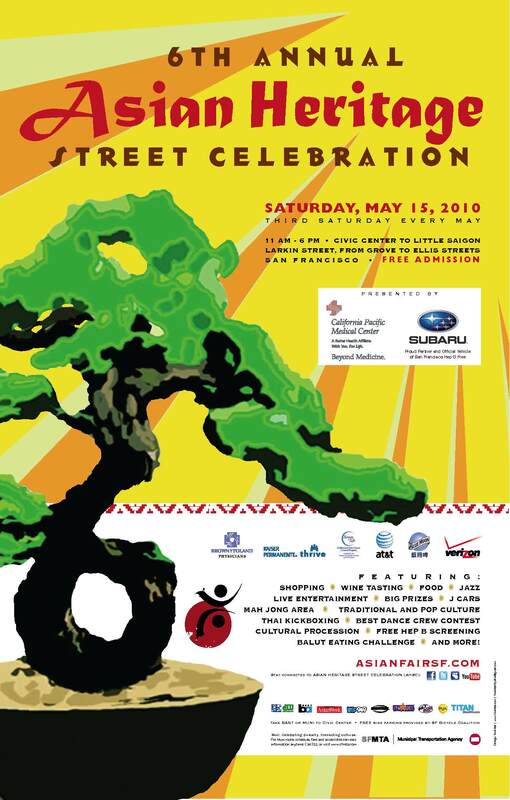 "Sixth Annual Asian Heritage Street Fair & Celebration"
LET'S SHOW PINAY POWER! Showcase your products and/or services at the largest Asian Heritage Street Fair. Sign up now and receive exposure to over 100,000 potential new customers with the advance press and publicity. The Asian Heritage Street Fair is also a huge shopping event - uniquely designed Asian arts and crafts, wine festival, and jazz music, all in one beautiful May day! Plan to stay all-day and bring your family and friends. And FREE admission. Running for office? You have a nonprofit you want to showcase? This is the place to be! Shared FWN Booth space to support our own Filipina entrepreneurs (FWN members only) - all day, May 15 (Saturday). If you would like to take advantage of this opportunity to promote your products or services and willing to share booth space in the spirit of "bayanihan" and collaboration, click on 'Register' to reserve your spot. We have space for 10 members pitching in $50 each to cover the cost of the booth. All exhibitors are responsible for staffing your shared space, security of your products, set-up and break down, decorating the booth for a tasteful display befitting FWN's image. We will have the FWN banner, FWN and V-Diaries Magazines as our FREE giveaways. Bring your own display props, extra folding chairs, extra small tables, tablecloths and other supplies - preferably Filipino-inspired. Reserve your shared space by EOB Friday, April 30. Volunteer to staff the FWN Booth. Sign up by clicking the 'Register' button. Please make sure you can honor your volunteer time commitment.